Over the last 20 years of captaining yachts I have experienced some exceptional cruising destinations – from the rugged North West coast of Western Australia to the spectacular back-drops of British Columbia. After arriving in Kota Kinabalu (KK) in the northern State of Sabah on Malaysian Borneo a year or so ago I now have to include this as one of those truly rare and remarkable destinations. What makes Sabah different from the other States of Malaysia is its exceptional biodiversity, low population and breathtaking scenery. Yes the traffic can get a little crazy in KK, particularly on the Holy day of Friday when the city’s faithful are off to the Mosque to pray, combined with commuters on their way home as well as tourist buses and taxis. But head out of town for 15 to 20 minutes and you find yourself in a beautiful rural landscape that is largely unaffected by the hustle and bustle of the city. In fact of a total statewide population of 2.4 million, over 540,000 live in the greater KK area. KK has a mystical quality, particularly after a rain shower when the clouds drape themselves over the mountains and fill the valleys. And there is nothing more stunning than watching the sun rise behind the iconic Mount Kinabalu which serves as a majestic backdrop towering 4,095 meters above the city. 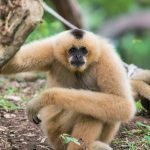 Sabah is home to some of the most unique and endangered species of wildlife and plant life on earth, some of which include the Sumatran Rhinoceros, Orang Utan, Sun Bear, Proboscis Monkey, Clouded Leopard and Pigmy Elephant. 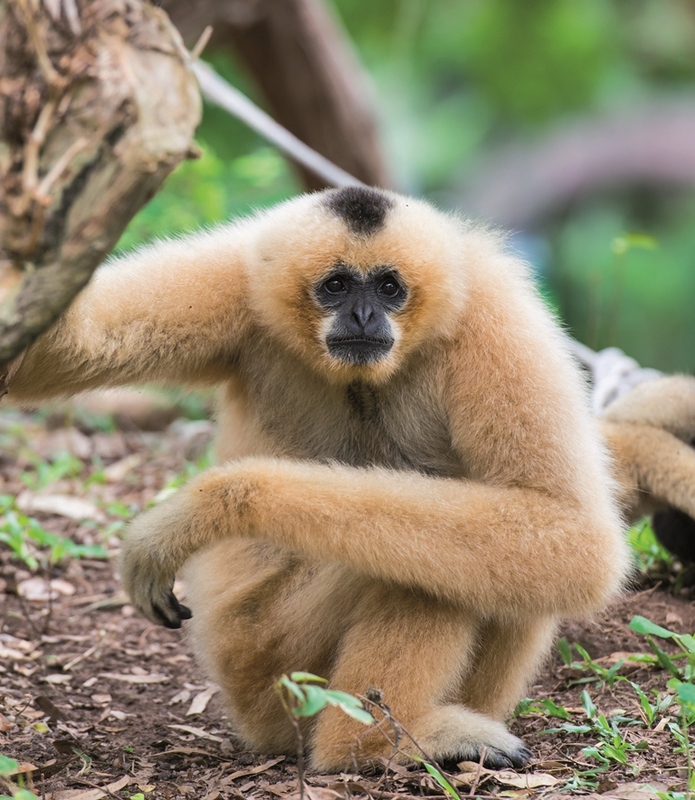 These species are all under pressure from the logging industry (now very strictly controlled), agriculture and the general spread of humanity and many are on the verge of extinction. The Sabah Wildlife Department is actively engaged in the protection of these and other endangered species, and is making great progress toward stabilizing populations and increasing numbers. The State has approximately 1,285km of coast line that stretches from Sindumin, just north of Brunei on the west coast around to Tawau just north of the border of Indonesian State of Kalimantan on the East Coast, and of that 90% is uninhabited. Around the coastline there are in excess of 100 islands, again with most uninhabited. 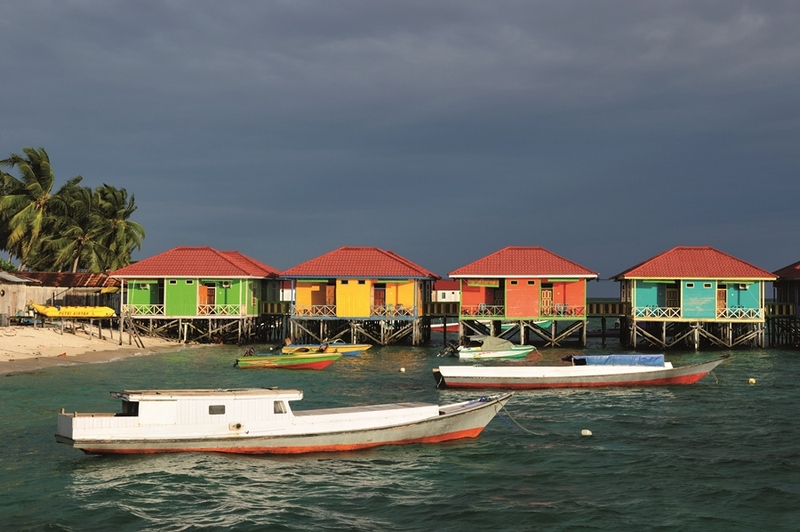 For the yacht owner who has become jaded with the crowds, expense and commercialism of the Med and the Caribbean, Sabah makes a refreshing change. Known as the “Land below the Wind” because of its location below the Typhoon belt it escapes the fierce storms that so frequently ravage the Philippines and Southern China, making boating a relatively safe affair. In all of my time in Sabah I have only seen two or three storms, and these generally blow through in a matter of hours. Sutera Harbour Marina in KK is the only full service marina in the State and is a truly exceptional facility. 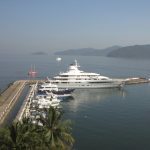 This deepwater marina (5 meters at low tide) is flanked on each side by two five-star hotel resorts and offers year round protection from the north and south monsoons. The adjoining marina club has everything a travel weary crew could ask for – 4 swimming pools, several F&B outlets, a 27 hole championship golf course, tennis courts, gym, pool hall, bowling alley, movie theatre and much, much more. Marina users receive temporary membership which entitles them to 50% off food and beverage purchased in selected outlets within the marina club and use of the club facilities. The marina is within easy reach of both airports and the city center, and has a helipad for air transfers. Directly off the coast KK lies the 49 square kilometer Tunku Abdul Rahman National Marine Park. 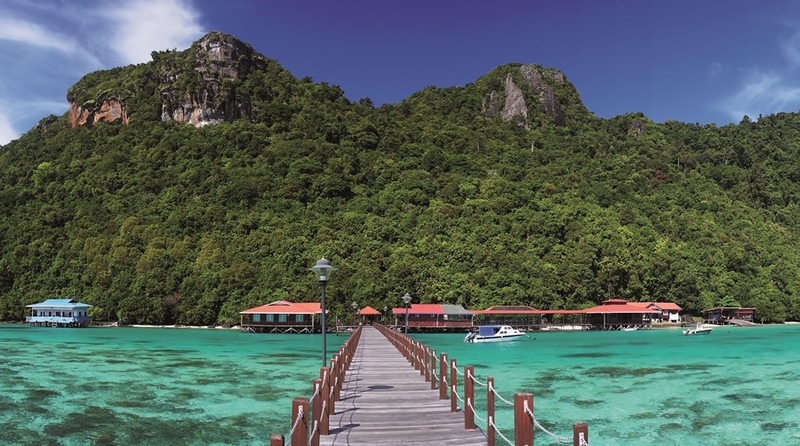 This protected area is made up of five islands, the largest of which is Pulau Gaya. Pulau Gaya has good anchorages on the northern and southern sides and offers protection in almost all conditions; however care must be taken to anchor only in sand and not on the coral reef. What strikes you most when you first venture out to the islands, and even before you leave Sutera Harbour Marina, is the clarity of the water and the abundance of marine life. The marina has to be one of the cleanest in Asia Pacific and is described by most as a big aquarium. Gayana Eco Resort on Gaya Island is home to the Marine Ecology Research Center (MERC). This privately funded, not for profit center is actively involved in the re-establishment of the coral reefs that have been badly damaged over time by boat anchors and fish bombing. Sabah is home to seven of the eight known species of Giant Clam on the planet. Unfortunately these species are under serious threat of extinction from over fishing. MERC are also working toward the propagation of this species through the growing and nurturing of the Clam in a ‘Marine Nursery’ and then placement onto the surrounding coral reefs. Pulau Mangalum located 30 nautical miles Northwest of KK is home to astonishing white sandy beaches, sea grass fields and a small but growing Dugong population. According to local lore, the great explorer Magellan and his fleet stopped at this island (hence the island’s name) on their way to Brunei to pay homage to the Sultan. The island is surrounded by shoals and coral reefs, extending all the way to Mantinani Island some 40 miles north. Scuba diving in this mainly unexplored remote area offers good visibility and plenty of reef fish. There is a nice fringing reef just off the island ranging from 3 to 14 meters deep and there are several patch reefs ranging from 8 to 29 meters deep which give shelter to a number of marine species such as anemones, numerous pink-eyed gobies, nudibranchs, seastars, and reef fish such as Angel- Parrot- Damsel- & Butterfly fish. This is a nice “muck” dive site with every now and then a school of Snappers or Sweetlips passing by. Whip rays and Eagle rays are occasionally sighted. 130 nautical miles further is Layang Layang, an atoll of 14 sq km in diameter, jutting 2,000 meters from the depths of the South China Sea. In 1985, the Malaysian Federal Government began reclamation works and created a 50-acre island on one part of the reef. Thus, what is ardently known to East Malaysians as “Terumbu Layang-Layang” or “Swallow’s Reef” has now become Layang-Layang Island. Within the atoll is a calm lagoon which teems with wildlife. As many as 13 coral reefs have formed here, creating spectacular underwater scenery with crystal clear visibility averaging 50-60 meters. It is among the famous Spratlys, which is a collection of about 600 islands, reefs, and atolls strategically located in the South China Sea. The island has been nicknamed “Big Fish” or the “Wall Diving Mecca of Southeast Asia”. One of Layang-Layangs’ biggest attractions is the Hammerhead Shark. Manta rays with fin spans of over 10ft are also found here. Other pelagic species that are found regularly include tuna, barracuda, and reef sharks. The eastern end of the atoll is home to thousands of migratory birds. Hence Layang-Layang is not only a diver’s paradise but also a bird watchers’ haven. 70 miles south of KK is the duty free island of Labuan. Originally under the rule of the Brunei Sultanate Labuan was ceded to the British in 1846. The British then officially declared Labuan a colony of the British Empire in 1849 and renamed it Victoria. The British government lost its hold over Labuan in 1942 when the Japanese Army invaded and occupied the island, renaming it Maeda Island. After World War II the British resumed control of the island until 1963 when Labuan joined Malaysia and became a part of Sabah. The Island became a Federal Territory of Malaysia in 1984 and Labuan was declared an International Offshore Financial Centre in 1990. Marine services in Labuan are geared toward the oil and gas industry, and so most of the service companies only deal with large commercial craft. Just south of Labuan is Pulau Keramat which is a beautiful, relatively uninhabited island with a protected anchorage on the northern side and a long natural sand spit. There is a small, very basic dive resort on the island and a very substantial concrete jetty that is used by the park ranger boats. The swell wraps around the western end of the island and creates quite a surge within the bay so tying up alongside the dock for any length of time is not recommended. 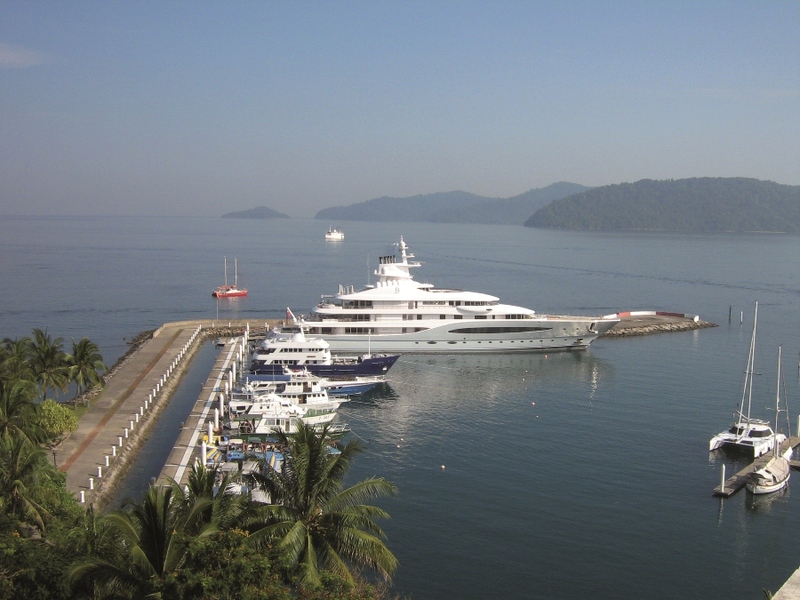 From Sutera Harbour it’s an easy 6 to 7 hour cruise to the northern tip of Borneo and the Kudat Riviera. This area is fast becoming the new playground for the rich and famous with several multi-million dollar developments underway. There is a basic government marina with haul out facilities which is quite popular with the cruising boats that frequent the area. The islands of Pulau Banggi and Pulau Balambagan just north of Kudat are virtually uninhabited and are full of spectacular deserted anchorages and abundant marine life. It’s not uncommon to have a Hawksbill or Green Turtle pop up next to your boat, have a look around and then dive back down. Unfortunately like so many other species of plants and animals these beautiful creatures are also under threat. Fortunately the turtles and the others who share their environment have a friend in Dr Nick Pilcher of the Marine Research Foundation, Sabah Malaysia. Dr Nick and his associates study and monitor the turtle populations and their movements. Their mission statement is; ‘To further the understanding of marine ecosystems and functions, and conserve the abundance and diversity of marine flora and fauna through research, conservation and education activities. Key objectives of the Foundation include promoting the advancement of indigenous understanding of marine ecosystems, the economy and social well-being of communities, and the relief of underprivileged communities which depend on the marine environment’. A visit to Sabah will not be complete without seeing the Kinabatangan river and Pulau Sipadan. The Kinabatangan, about 2 hours drive south of Sandakan on the east coast is truly a nature lovers paradise. The river, the second longest in Malaysia literally teems with wildlife ranging from saltwater crocodiles, Proboscus Monkeys, Asian Elephants to the extremely rare Sumatran Rino. The birdlife is also prolific with hornbills, kingfishers and many others commonly spotted. In 1997, 270 square kilometers of the lower Kinabatangan floodplain was declared a protected area, and in 2001 this designation was upgraded to that of “bird sanctuary”, largely through the efforts of the World Wide Fund for Nature. However, further efforts to have the area declared a “wildlife refuge” or even “national park” have been opposed by the logging industry, and oil palm plantation owners seeking to expand their cultivated land. Sipidan, currently in the running to become one of the seven New Wonders of the World is the only oceanic island in Malaysia, rising 600 meters from the seabed. It is located in the Celebes Sea east of the major town of Tawau. It was formed by living corals growing on top of an extinct volcanic cone that took thousands of years to develop. Sipadan is located at the heart of the Indo-Pacific basin, the centre of one of the richest marine habitats in the world. More than 3,000 species of fish and hundreds of coral species have been classified in this ecosystem. Frequent scenes in the surrounding waters include schools of Green and Hawksbill turtles nesting and mating, schools of Barracuda and big-eye Trevally in tornado-like formations, as well as pelagic species such as manta rays, eagle rays, hammerhead sharks and whale sharks. A mysterious turtle tomb lies underneath the column of the island, formed by an underwater limestone cave with a labyrinth of tunnels and chambers that contain many skeletal remains of turtles that have become lost and drown before finding the surface. Borneo has endless beauty, come and see!